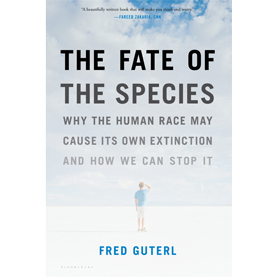 Adapted from The Fate of the Species: Why the Human Race May Cause Its Own Extinction and How We Can Stop It, by Fred Guterl (Bloomsbury USA, 2012). The eminent British scientist James Lovelock, back in the 1970s, formulated his theory of Gaia, which held that the Earth was a kind of super organism. It had a self-regulating quality that would keep everything within that narrow band that made life possible. If things got too warm or too cold—if sunlight varied, or volcanoes caused a fall in temperatures, and so forth—Gaia would eventually compensate. This was a comforting notion. It was also wrong, as Lovelock himself later concluded. “I have to tell you, as members of the Earth’s family and an intimate part of it, that you and especially civilization are in grave danger,” he wrote in the Independent in 2006. The world has warmed since those heady days of Gaia, and scientists have grown gloomier in their assessment of the state of the world’s climate. NASA climate scientist James Hanson has warned of a “Venus effect,” in which runaway warming turns Earth into an uninhabitable desert, with a surface temperature high enough to melt lead, sometime in the next few centuries. Even Hanson, though, is beginning to look downright optimistic compared to a new crop of climate scientists, who fret that things could head south as quickly as a handful of years, or even months, if we’re particularly unlucky. Ironically, some of them are intellectual offspring of Lovelock, the original optimist gone sour. 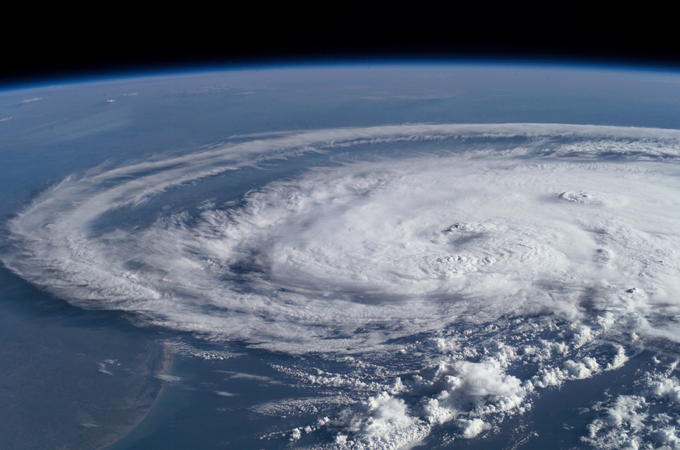 The true gloomsters are scientists who look at climate through the lens of “dynamical systems,” a mathematics that describes things that tend to change suddenly and are difficult to predict. It is the mathematics of the tipping point—the moment at which a “system” that has been changing slowly and predictably will suddenly “flip.” The colloquial example is the straw that breaks that camel’s back. Or you can also think of it as a ship that is stable until it tips too far in one direction and then capsizes. In this view, Earth’s climate is, or could soon be, ready to capsize, causing sudden, perhaps catastrophic, changes. And once it capsizes, it could be next to impossible to right it again. One of the most productive scientists in applying dynamical systems theory to climate is Tim Lenton at the University of East Anglia in England. Lenton is a Lovelockian two generations removed— his mentors were mentored by Lovelock. “We are looking quite hard at past data and observational data that can tell us something,” says Lenton. 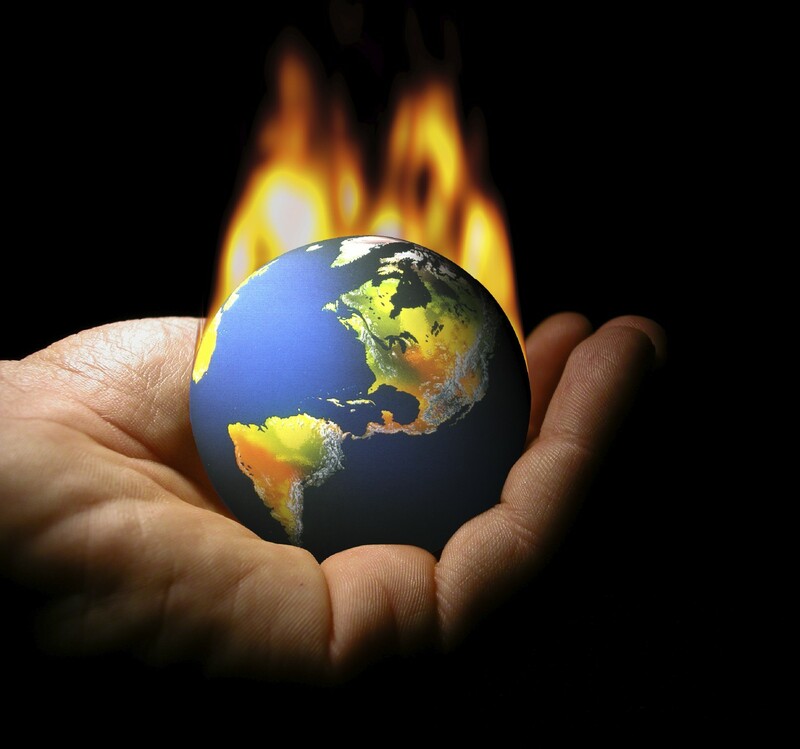 “Classical case studies in which you’ve seen abrupt changes in climate data. For example, in the Greenland ice-core records, you’re seeing climate jump. And the end of the Younger Dryas,” about fifteen thousand years ago, “you get a striking climate change.” So far, he says, nobody has found a big reason for such an abrupt change in these past events—no meteorite or volcano or other event that is an obvious cause—which suggests that perhaps something about the way these climate shifts occur simply makes them sudden. Lenton is mainly interested in the future. He has tried to look for things that could possibly change suddenly and drastically even though nothing obvious may trigger them. He’s come up with a short list of nine tipping points—nine weather systems, regional in scope, that could make a rapid transition from one state to another. Each year, the sun shines down on the dark surface of the Indian Ocean, and moist, warm air rises and forms clouds. This rising heat and the moisture form a powerful weather system, a natural pump that pulls up water and moves it in vast quantities hundreds of miles to the mainland. This is the Indian monsoon, which deposits rainfall on thousands of square miles of farmland. About a billion people, most of them poor, depend for their daily bread on crops that depend in turn on the reliability and regularity of the Indian monsoons. India is a rapidly developing country with hundreds of millions of citizens who want to move into the middle class, drive cars and cool their homes with air-conditioning. It is also a country of poor people, many who still rely on burning agricultural waste to heat their homes and cook their suppers. Smoke from household fires has been a big source of pollution in the subcontinent, and it could disrupt the monsoons, too. The soot from these fires and from automobiles and buses in the ever more crowded cities rises into the atmosphere and drifts out over the Indian Ocean, changing the atmospheric dynamics upon which the monsoons depend. Aerosols (soot) keep much of the sun’s energy from reaching the surface, which means the monsoon doesn’t get going with the same force and takes longer to gather up a head of steam. Less rain makes it to crops. At the same time, the buildup of greenhouse gases, coming mainly from developed countries in the northern hemisphere, has a very different effect on the Indian summer monsoons: it acts to make them stronger. These two opposite influences make the fate of the monsoon difficult to predict and subject to instability. A small influence—a bit more carbon dioxide in the atmosphere, and a bit more brown haze—could have an out- size effect. Lenton believes that the monsoons could flip from one state to another as quickly as one year. What happens then is not a question that Lenton can answer with certainty, but he foresees two possibilities. One is that the monsoons grow in force and intensity, but come less frequently. We have already seen hints of this in the newspapers. In the last few years rains have grown erratic and less frequent, but when they do come, they tend to dump an enormous amount of water, and in places where they wouldn’t normally do so. This is almost as bad for farmers as drought, since the rain falls on parched ground with extra force, and much of it runs off without soaking into the ground, and it causes damage to boot by washing away soil and plants. The flooding that devastated Pakistan in 2011 is a case in point. If this trend continued and strengthened in intensity, it would be bad news for the two thirds of the Indian workforce that depends on farming. It would be nasty for the Indian economy—agriculture accounts for 25 percent of GDP. A permanently erratic and harsh monsoon would depress crop yields, increase erosion on farms, and cause a rise in global food prices as India is forced to import more food. The other possibility is even worse: the monsoons could shut down entirely. This would be an unmitigated catastrophe. A sudden stopping of monsoon rain, which accounts for 80 percent of rainfall in India, could throw a billion people into danger of starvation. It would change the Indian landscape, wiping out native species of plants and animals, force farms into bankruptcy, and exacerbate water shortages that are already creating conflict. The Indian government would almost certainly be unable to cope with a disaster of such proportions. Refugees by the hundreds of millions would stream into big cities such as Mumbai and Bangalore, looking for some hope of survival. It would create a humanitarian crisis of unprecedented proportions. Lenton foresees a similar danger of sudden change in the West African monsoon, the second tipping point. Tipping point number three in Lenton’s list is the sea ice of the north pole. For years the ice has been thinning and retreating more and more during the summer. Soon it may disappear completely during the summer months. We may already have reached this tipping point—a transition to a new state in which the north pole is ice-free during summer months is already at hand. Eventually the north pole may flip and be free of ice year-round. The knock-on effects of such a transition would be huge—they would cause marked increase of warming at the pole, since open water absorbs more of the sun’s energy than ice-covered seas. The effect of a year-round ice-free north pole would be like heating Greenland on a skillet. The fourth tipping point is Greenland’s glaciers, which hold enough water to cause sea levels to rise by more than twenty feet. It takes a while for that much ice to melt, of course. Currently, the Intergovernmental Panel on Climate Change projections say it will take on the order of a thou- sand years. Scientists currently don’t have a good handle on how such a big hunk of ice melts. For plenty of reasons it could happen much more quickly—recent observations suggest that the melting has not only exceeded what models predict, but has also begun to accelerate. A marked retreat of ice in coastal areas has led to an infusion of ocean water, which is relatively warm and promotes melting. If Greenland flipped into a completely ice-free state, it would cause massive rises in sea level—on the order of six or seven meters. Even if this took three hundred years to happen, “it would be an absolute disaster,” says Lenton, “a real game changer.” At such a rate of sea-level rise, it would be- come more and more difficult to protect coastlines. Low-lying areas would have to be abandoned. That includes cities such as New York, Los Angeles, San Francisco, London, Tokyo, and Hong Kong, not to mention the entire state of Florida and vast swaths of Indochina. Tipping point number six—the west Antarctic ice sheet—is even scarier. It has enough ice on it to raise sea levels by about eighty meters. The ice is melting, but slowly—most worst-case scenarios give the ice centuries to melt. But there are some niggling doubts about whether the West Antarctic Ice Sheet could calve into the sea more quickly than expected, as the glaciers contract. If that happened, it would push sea levels up by five meters in as short a time as a century. Most experts consider this unlikely, but if it did happen, Lenton thinks the sheet could flip in as little time as three hundred years—three times faster than most models predict. Water and ice aren’t the only worries. 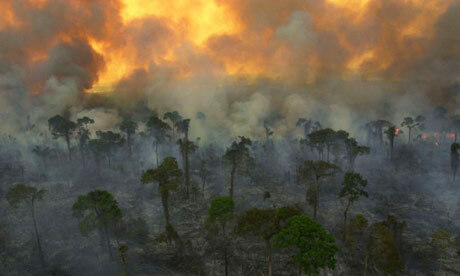 The Amazon rain forest, the seventh of Lenton’s tipping points, is also in jeopardy. Rain forests are always pretty wet, but they have dry seasons, and those dry seasons turn out to be a limiting factor on the survival of flora and fauna. As loggers reduce the number of trees that produce moisture to feed the gathering rains, the drier the dry seasons get, and the longer they last. Lately dry seasons in the Amazon have gotten more severe and have put a crimp on the survival of many of the trees that form the forest canopy, which is the backbone of the rain-forest ecosystem. As the dry season continues to lengthen, the flora draw more and more water from the soil, which eventually begins to dry out. The trees get stressed and begin to die. There’s more fodder on the forest floor for wildfires. This is not hypothetical; it’s already begun to happen. We saw this during the estimated twelve thousand wildfires that occurred in the Amazon during the drought of 2010. As the forest loses more and more trees, it loses its ability to feed the weather patterns with warm, moist air. If and when the Amazon flips into a drier state, it would have an big effect of weather patterns. The Amazon is basically a big spot of wet tropics. Knock out the trees and lose that moist air, and the regional circulation pattern changes as well. A similar flip could occur in Canada’s boreal forests (tipping point number eight). A die-off of these forests would release much of the 50 billion to 100 billion tons of carbon now trapped in permafrost. The basic weather patterns that we’ve grown used to on weather maps are also subject to rapid change. Among them is what’s called El Niño– Southern Oscillation—the ninth and last of Lenton’s tipping points. El Niño involves movement of a blob of warm water on the west side of the Pacific Ocean toward the east, bringing with it moist warm air. When this warm water cools and circulates back westward, El Niño comes to an end and La Niña begins. These two patterns alternate roughly every five years. From observations, scientists have begun to see a more erratic trade-off between these two patterns. They fret that the weather patterns could flip to some different state—perhaps a more frequent switching off between the patterns. That would have a detrimental effect on the Amazon, says Lenton, exacerbating trends that already threaten to destroy the rain forest. It would take a perfect storm of climate flips to get us to this particular worst-case scenario. If it does come to pass, however, at least it will happen quickly. 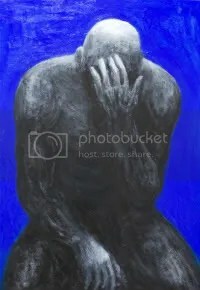 “Oh yes – humans – they proved to be a failed evolutionary dead end. Good thing too”. …”at least it will happen quickly”………..what a relief! Look for my reply at http://www.protecttheocean.com/ocean-armageddon/ shortly. Thanks for bringing this concept forward in such a convincing way. 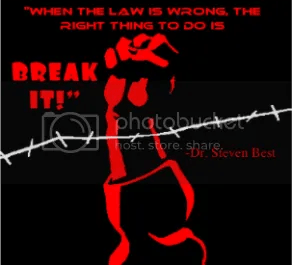 Perhaps if enough of us are preaching this truth, people will at least listen. Therefore we have nuclear weapons. A nuclear winter caused by mushroom clouds and smoke from burning cities will easily compensate global warming. Maybe Lovelock had that in mind, he was always fond of nuclear. Soon all will take note to the sounds and rumbling of Volcanoes Around Earth that are Waking Up at a Alarming Rate. Just as they did in 1883 from Krakatoa. The Forest Trees do more than just make Oxygen they stop Soil Erosion, just Look at the 1930 Dust Bowl. Greed by our Government taxes led farmers to clear cut all their Forest and farm all the land they were being Tax on. They had to farm it to pay for the Taxes. Why leave the Trees when food crop makes Money. This did not Help the Depression that effected most all Worldwide. This coming year more than 100 million will suffer from Malnutrition lack of food and Dehydration lack of water. Many will not make it and die! Soon many will run out of Safe Drinking Water from pollution going into the world’s water supply. In the United States of America alone more than 46 Million Americans Received Food Stamps and that number is going up every day every year for more than 4 years in a row now. Less Forest less Oxygen this is why the moon. That has no Oxygen is very cold on the side without Sun Light, And hot as ever on the side with Sun Light. Way too cold and too hot to live there. You would need at least 10 times the Energy we use on Earth to even live there and life on the Moon would be very short. Soon the Sun’s Solar Wind and UV rays will be way to strong for most to go out in the Sun Light for even a short time. The Geomagnetic Storm to come and the Bad Weather Storms well you have not seen nothing yet and the Sea Level is Rising the Oceans. Many Millions have been affected by Floods in China and Pakistan just last year. In 2005 Over a Thousand dead in New Orleans flood, and the list going on. The sounds and rumbling of Volcanoes Around Earth are Waking Up at a Alarming rate. The United Nations is now taking a serious look into “Earth’s Limits” Earth will very soon be at its Limits of no return for many things including all life on Earth. There is enough Energy from our Sun to Power all are needs on Earth and more. The richest on Earth are doing just that Building Solar Power Plants at a record pace.